Did you win the P90X giveaway? And what's this about "secret plots?" Hold Up Crabby, Not So Fast: Where the Hell is This Week's Giveaway? Sorry folks, I'm afraid this week's planned giveaway got postponed! Why? Well, it's a combo giveaway/review, and I didn't actually get around to trying the product yet. Not just because of general laziness, or even the fact the product requires some simple assembly and the Lobster is out of town and she's is the only one in our household capable of assembling anything more challenging than a cup of coffee. No, as it happens, the excuse... rationalization... really good reason for the delay is that a review post of a fitness contraption really should include demonstration pictures! And the Lobster is the Official Cranky Fitness Photography Department, and she won't be available for a few more days. So the next giveaway post is just going to have to wait a bit. Commenter #8: Laura (akaWonderWife!)! Congrats, Laura! Please email me to claim your prize by end of day Friday the 12th! And so what's this about a scheme to take over the Blogging Universe? Well, I'm hoping to get some help here folks. But the sad thing is: googlers who arrive here land on a vintage "readers choice" blog post that misses out on some of the best weight loss blogs, and includes a lot of blogs that no longer exist. Plus, there are no categories for health blogs, fitness blogs, humorous blogs etc! But what if Cranky Fitness were to leverage this undeserved Google karma and host an updated list of all of the truly best current health, fitness, and weight-loss blogs? The ones that we all know deserve more readers but don't necessarily have advertising budgets or corporate sponsorship? (Though there will be a category for those, too!). Wouldn't that be better for the googlers, better for the bloggers, and, err... um... perhaps better for Cranky Fitness? Problem is, Cranky Fitness needs to regain lost readership before mounting another Reader's Choice official poll, or it will be a pretty short list. The big-deal poll (which will also include a giveaway inducement, I'm thinking) probably won't happen until fall. So then, why am I announcing this now? So whaddya say? Anyone want to clue me in to the best weight-loss and other health & fitness blogs? A link and a brief description of the blog's awesomeness, either by commenting here, email, or on Facebook, would be most appreciated! I got nuthin' but wanted you to know I'd been by. Well..crabby if anyone can conquer this thing..it would be you! Of course, you will put your name at the top! Leah, I love it when you stop by!!!! And thanks Donna, these should definitely be on the list! It helps to have people nominate the ones I already like as well as the ones I don't know about, because I want to see the good ones get the most votes! Last time some of my fave's didn't nearly as well as I thought they ought to. And jules, awesome, thank you!!! Hmmm, the best one's I've seen, you are already know about. Some of the funny blogs you link to, and list in your sidebar. Sorry. My favorite is The Great Fitness Experiment, which I'm fairly sure you already know about. :) I can't wait to see what others come up with though. Really appreciate the suggestions, and looking forward to checking 'em all out! I love all of these blogs because they are DOING IT (no, not THAT). They are walking the walk and inspiring others to do the same. OooOOoo fun! I love all of the below because they feature great info., and a lovely storyteller behind the screen. You and Miz are the top of my list, the rest i just catch on occasion. If i added more to my list of "must read daily," i would need 36 hours in a day. Oh, damn, you said a few, didn't you? Well, I can go on and on so maybe you should just go and check out ALL the blogs I follow. There are so many great ones there and I love each and every one of them for various reasons. Fitness, you're definitely my go to crab. Um, my only go to actually. I'm more a hit-and-run fitness reader. But I have to say my other favorite health/wellness blog is Health Breaks Loose by Leslie Goldman. (http://healthbreaksloose.com/) More women's health and body image issues, and funny as all get out. She originally wrote for iVillage when I found her but has now branched out on her own. Oh and also? I hate you. Because now my blog roll is going to have to include more of the blogs linked here-in. And really. Did I need more blogs to read? Probably not. But will that stop me? No, no it will not. Alas, all I have to offer is you, and MizFit. I occasionally follow a link from somewhere, but I don't add more blogs to my daily feed. No, really. They're not like chocolate, I can stop anytime. And you have a long list of the others I would have put in for too! Amazing amazing bloggers out there & I am sure I missed some! Mine because I give honest straightforward useful information and I can be trusted because I am a doctor! At least people used to trust doctors. I like Bitchcakes...honest, stylish and real. Once you're tried Cranky Fitness, how could you look at any other blog? Hey folks, I REALLY appreciate the nominations! And feel free, if you continue to think of them, to stop back again. 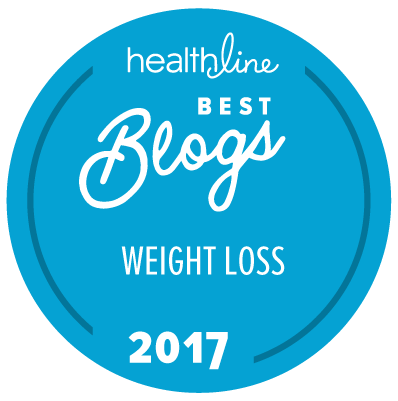 Loyal readers put up with a lot here and deserve Extra Credit and certainly Extra Voting power when it comes to picking best weightloss/health/fitness blogs.